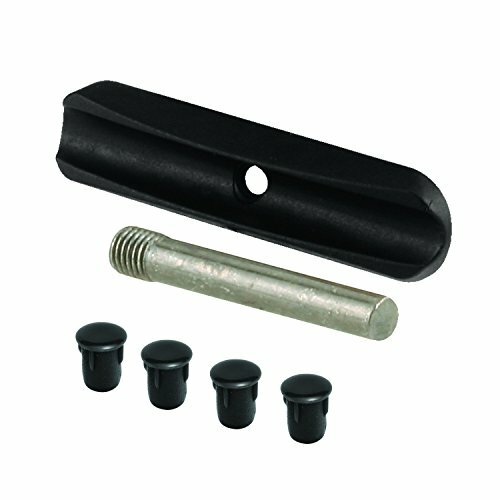 This replacement parts kit is designed for use with Astra Gibclosers, which are distributed in North America by Prime-Line Products. It includes a plastic guide, 4 plastic hole plugs and a steel winding rod. The plastic guide mounts to the door and provides a smooth surface for the closing rod to ride against. The plugs are meant to be inserted into the holes along the center of the unit to protect the internal components from weather and dust. The winding rod is meant to be used in conjunction with the closing rod to wind up the tension until there is enough force to close your door. If any of these parts become lost or damaged, this kit allows you to replace them without having to purchase a new closer. Note: if the torsion springs in your closer begin to create any grinding noise, white lithium grease is the best lubricant to use. By C&G Family Products, Inc.